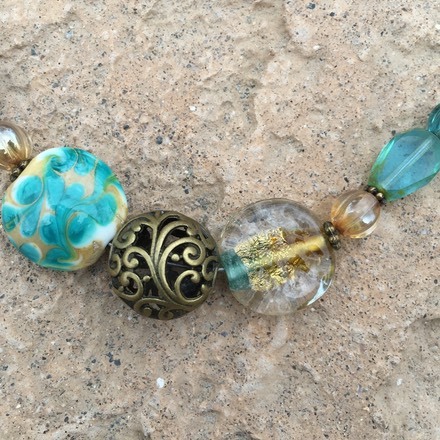 Vintage Style Teal Glass Bracelet. 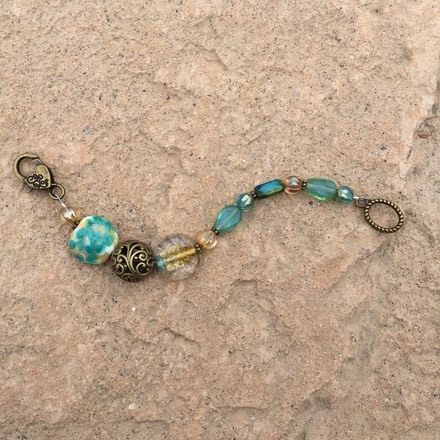 Brass Heart Lobster Clasp, and Filigree Bead. 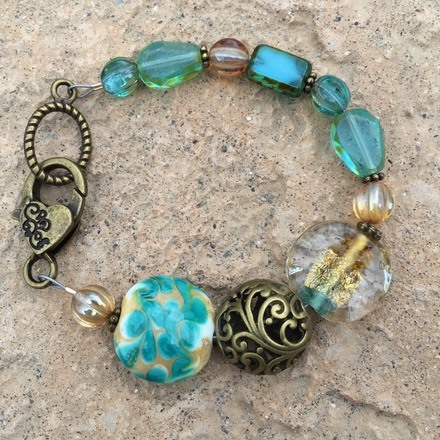 This includes Lampwork Glass Designer Beads, and Czech Glass. 7" long.